The Norse settlers or Vikings came to Cumbria before 1000 AD and their language lives on in many place names along the Cumbrian coast. Seascale comes from the old Norse word Skali, meaning a hut or shelter. Long after the Norse people, the coastline-hugging railway bought holidaymakers to Seascale to enjoy the expansive and sandy beach. Seascale is the closest village to the Sellafield, the previous nuclear power station and reprocessing site, which is now being decommissioned. This site started out life as a Royal Ordnance Factory in the Second World War as its position on the west coast of England meant it was far enough away from German bombers. After the war the site, then known as Windscale, produced weapons-grade plutonium and in 1956 became the site of a Magnox reactor. The name changed to Sellafield in the 1970s and the site continued to be developed and to be a major employer in the area. 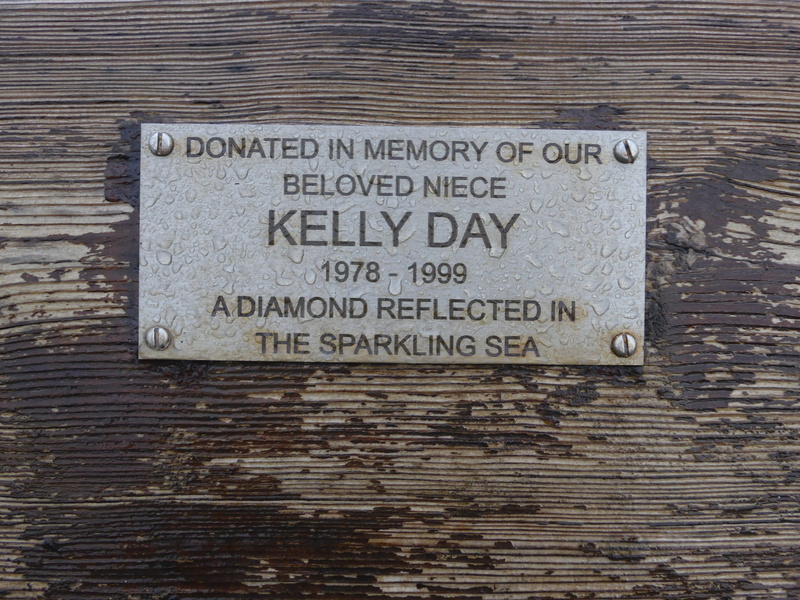 This memorial bench to Kelly Day, who died a young woman, has a view of the sea and a beautiful sentiment to a ‘beloved niece’ who was ‘a diamond reflected in the sparkling sea’. 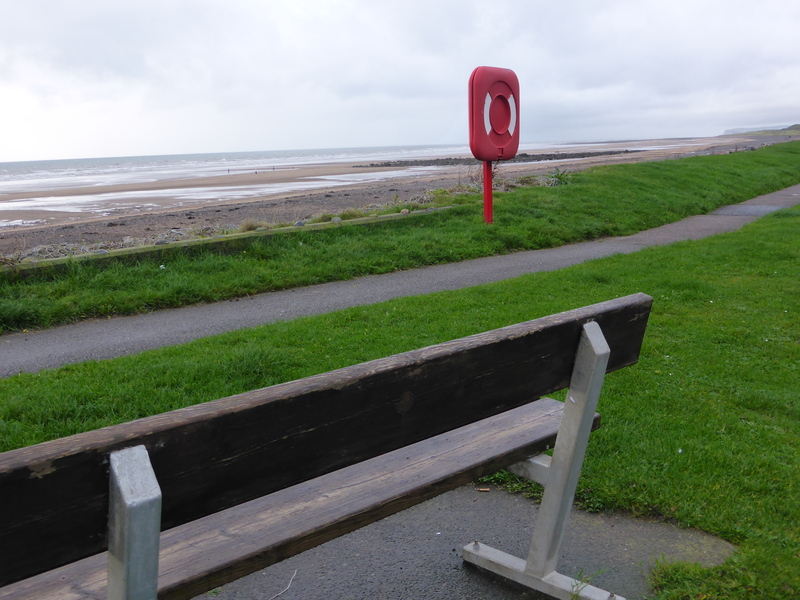 I found this a lovely spot to sit and contemplate those words for a few moments, even on a damp and blustery autumn day. Not far from the bench remembering Kelly Day is a sombre memorial to the twelve people who were killed by a lone gunman on 2 June 2010. Ravenglass is a lovely coastal village on the Cumbrian Coast with a sheltered harbour on the Esk estuary and houses on the main street that have their backs to the blustery Irish Sea. A stroll along the beach at low tide watching the waders would be reason enough to visit Ravenglass but there is also the Ravenglass and Eskdale Railway; a narrow gauge railway line that runs from Ravenglass to Eskdale. This is a beautiful journey that I would recommend to anyone who hasn’t been on it. Passengers travel on a cute shiny steam engine and pass through lovely countryside in to the heart of Eskdale, surrounded by fells. La’al Ratty is the affectionate name for the Ravenglass and Eskdale railway and means little railway in Cumbrian dialect. On a blustery and wet November morning we stopped for a hot chocolate at the Ravenglass and Eskdale Railway cafe. We didn’t have time for a trip but it was lovely to watch the little engine get steam up as the passengers climbed in to the carriages. On the platform I found this moving memorial bench to Peter Tebb, a young man who was clearly attached to the Ravenglass and Eskdale railway. The memorial bench is attractively decorated with red squirrels on the legs. Just near Ulverston you will find Conishead Priory. This is no longer a priory or even a ruin of a priory. Along with other priories Conishead was closed in the 16th century. A succession of country houses were built on the site, the last built early in the 19th century by Colonel Braddyll. After he went bankrupt, the house became a hotel, then a convalescent home for Durham miners, a hospital during World War II and is now the home of the Manjushri Kadampa Meditation Centre. This International Centre for Modern Buddhism uses the buildings of the house and has renovated these and has also built a modern Buddhist temple in a walled garden in the grounds. We parked up under the twin turrets of the main house and found the World Peace Café where we enjoyed a good lunch in a peaceful and friendly atmosphere. After lunch we had a look at the temple and then walked to the lovely pebble beach through the woodland. It was here in the woodland, splendid in autumn colours, that we found this bench in memory of Bill Irving. I did as instructed and thought of Bill, who was clearly very attached to Conishead Priory. We carried on through the woodland, spotting some interesting looking mushrooms and reached the pebble beach with misty views across the estuary.